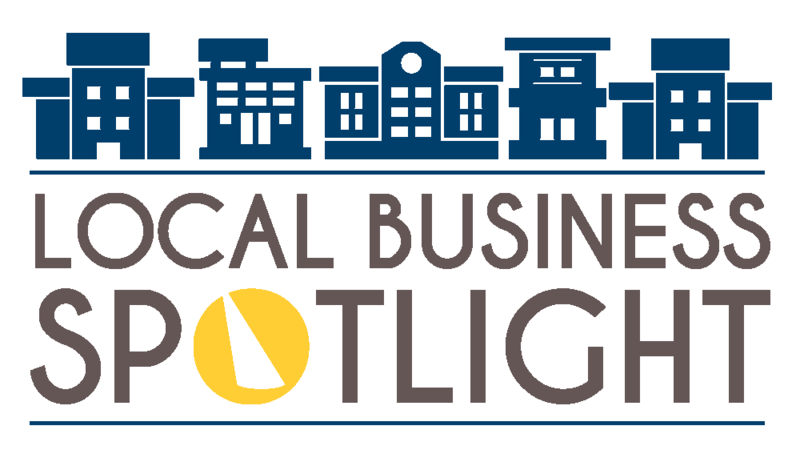 What started in 1885, as a way to help citizens in Boyle County achieve homeownership has become not only a downtown staple but also a strong financial institution that has survived two financial crises. Central Kentucky Federal’s (CKF) humble roots began when a group of civic leaders gathered together to help grow the Danville- Boyle County economy through affordable housing. 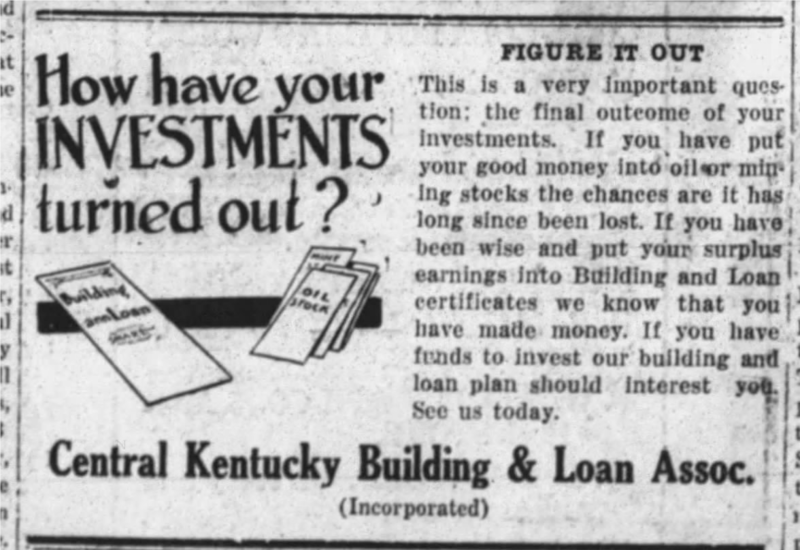 The Central Kentucky Building and Loan Association was chartered on May 7, 1886, and made it possible for local residents to build or purchase a home with a small down payment followed by weekly or monthly payments, thus encouraging home ownership in Boyle County. The American dream of homeownership is why the bank was organized in 1885 and continues to be just as important today. For over 132 years CKF has had a presence on Main Street. The Association’s first office was merely a desk in the lobby of the former Boyle Bank & Trust Company that was only open on Saturday evenings from 7-9pm. In 1964, CKF wanted to expand its office and purchased two properties at the corner of Main and Fourth Street. Both buildings were razed and a groundbreaking took place in early April 1967 for the construction of a Williamsburg style building designed to resemble the Governor’s Palace in Williamsburg, Virginia. 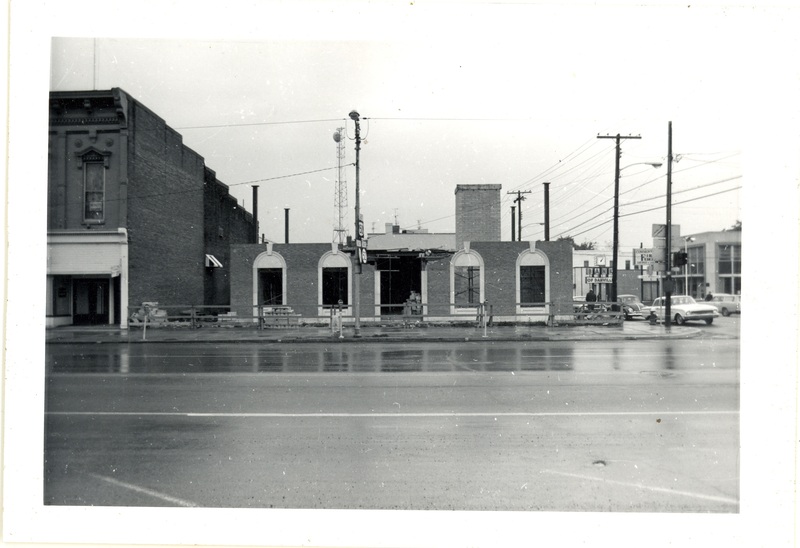 Construction was completed, and the bank opened for business in the new location on December 14, 1968. Very few businesses can celebrate their 132nd anniversary, but thanks to the bank’s thrift philosophy of growing personal savings for a more secure future they have made their mark on Danville and helped to safely grow our community. Address: 340 W Main St.